Microsaic Systems Distribution Agreement with Omicron Research Ltd.
Home » News » AIM News » Microsaic Systems Distribution Agreement with Omicron Research Ltd.
Microsaic Systems plc (LON:MSYS), the developer of point of need mass spectrometry instruments, is pleased to announce that it has signed an agreement with Omicron Research Ltd. to distribute Microsaic’s 4500 MiD® MS detector via Omicron’s distribution network in the United Kingdom. Omicron is a UK distributor for a range of scientific instrumentation specialising in Dissolution, Chromatography and Spectroscopy, working in partnership with some of the largest scientific instrument manufacturers in the marketplace today. 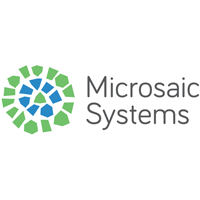 Glenn Tracey, CEO of Microsaic Systems plc, commented, “I am delighted to partner with one of the leading distributors of CAMAG-branded Thin Layer Chromatography (“TLC”) equipment in the UK. “TLC is a growing application area, enabling fast and simple analyses in a variety of industries, including natural products, pharmaceuticals, food and environmental. The addition of our point of need MS provides rapid compound elucidation, allowing the scientist method flexibility and simplicity with rapid diagnostic. “Omicron is a well-established distributor of scientific instrumentation and has a strong reputation for its applications expertise and customer service. “CAMAG is a world leader in planar chromatography. Since 1961, CAMAG has been dedicated to the development and manufacturing of instruments, software and consumables for all steps of the TLC or High-Performance Thin Layer Chromatography (“HPTLC”) procedure. “Wherever complex substance mixtures are analysed (e.g. herbal, environmental or forensic samples), TLC/HPTLC often is an excellent alternative to Gas Chromatography (“GC”) and High-Performance Liquid Chromatography (“HPLC”). Moreover, it has proven value as a solid quantitative analysis technique in quality assurance of food, pharmaceuticals and other industrial products. Sam Stringer, Commercial Director of Omicron Research Ltd, added “The addition of Microsaic’s innovative 4500 MiD MS detector to our product portfolio will enable Omicron to provide an exciting new opportunity to expand the analytical flexibility of TLC and HPTLC. Demand on our customers in the field of planar chromatography for further structural elucidation of their components is high, and Microsaic can provide an elegant, complementary solution to help facilitate this. Building on existing collaborations, we believe this combination of expertise and technology will be highly successful in the UK marketplace.